A bootleg recording of this show circulates throughout the internet. One can be heard in its entirety in a video posted to YouTube. I’ve seen this at various blogs with various dates. Some say it’s July 4, 1981, some say June 4, 1981, and still others say January 4, 1981. 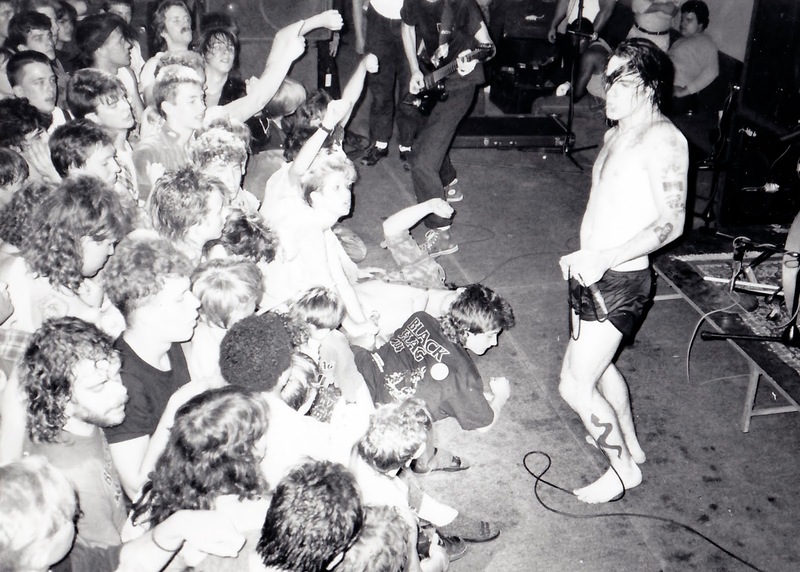 Some say that the show took place at the Electric Banana and some day it was at the old Stanley Theater. I can clear this up because I was there. 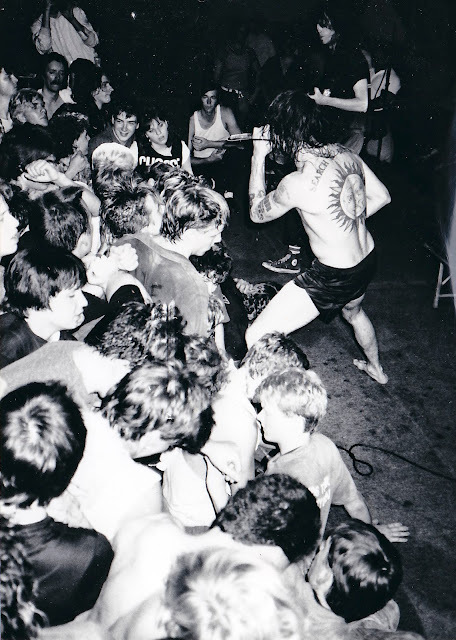 Black Flag never played at the Stanley. I can’t even imagine that. 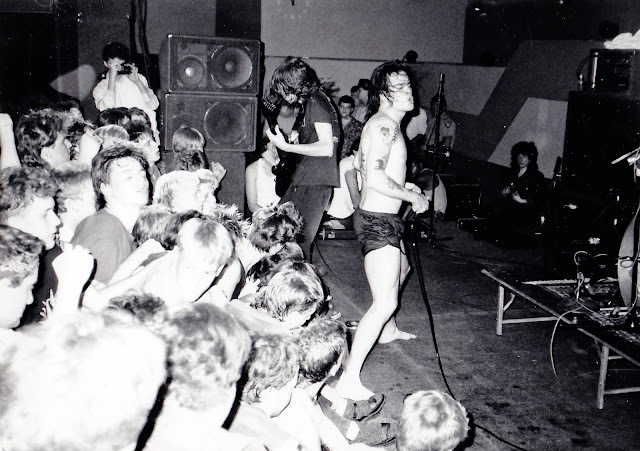 The show was at the Banana and the date was July 4, 1981. Dez’s opening remarks, quoted above, can be heard on the bootleg and should clear up the date once and for all. We don’t hold fireworks in Pittsburgh on June 4 or January 4. I checked the newspaper archives to see what was going on in Pittsburgh on those dates. On June 4, the Port Authority faced a budget deficit. Hmmmm…. Some things never change. On January 4, the temperature was eight below zero, a new 102-year low. Neither would have been cause for a fireworks celebration. The more interesting aspect of this show, and why it merits its own page, is that it was Dez’s last show as Black Flag’s vocalist. The Henry Rollins Era would begin on July 10 at the Starlite Ballroom in Philadelphia. Henry was at the July 4 show. He was working as a roadie on that tour so he could step into the vocalist role as soon as Dez was ready to give it up and move to second guitar. We didn’t know we were witnessing history that night. 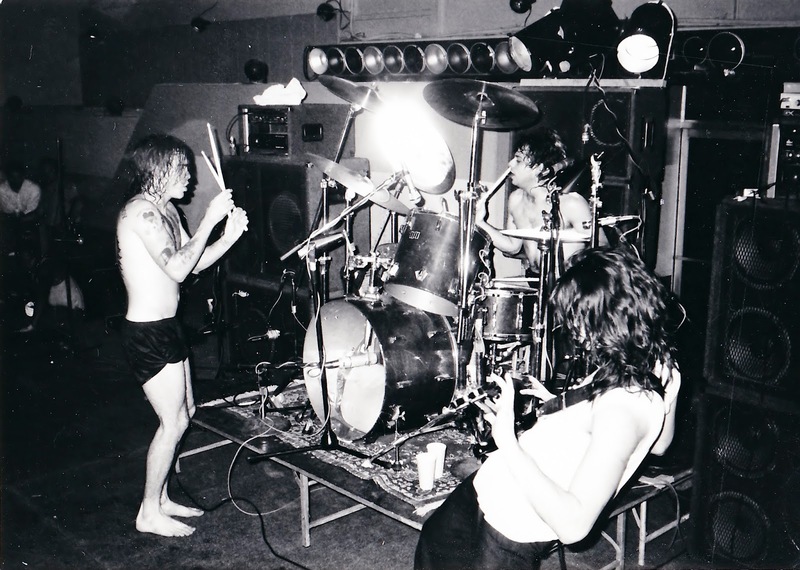 The show in and of itself, with ten bands playing over 12 hours, was historic regardless of who played. 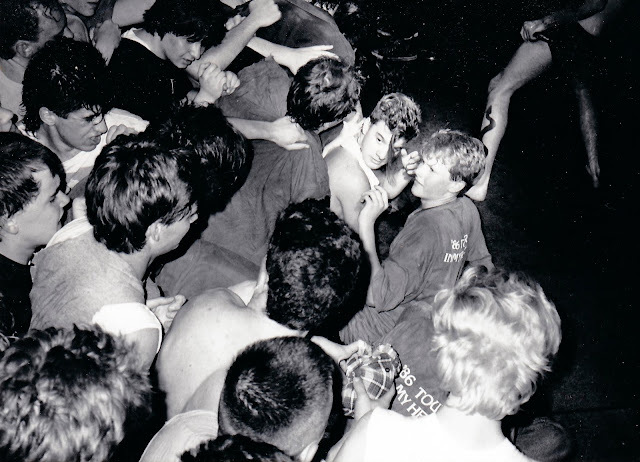 There’s never been a show like it in the history of Pittsburgh punk, before or since. I was on the dance floor, off to the side against a wall, where I could see the show without getting mixed up in the slam dancing, what with self-preservation being a hobby of mine. 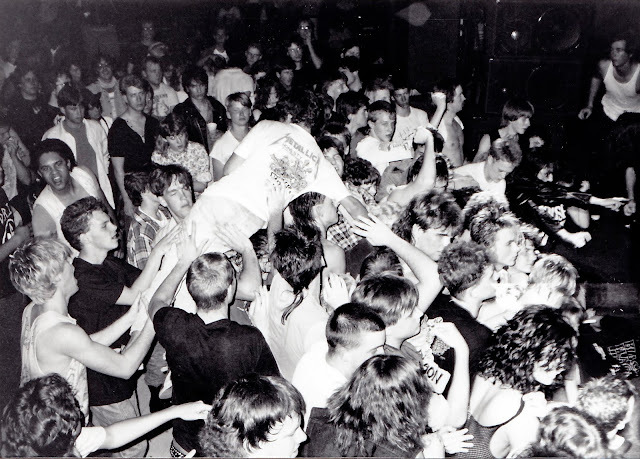 Somebody from Black Flag’s crew rushed to the dance floor, ready to show us northeasterners what slam dancing was all about. I saw him coming, so he just brushed me. Years later somebody told me it was Henry, but I don’t know and can’t be sure. 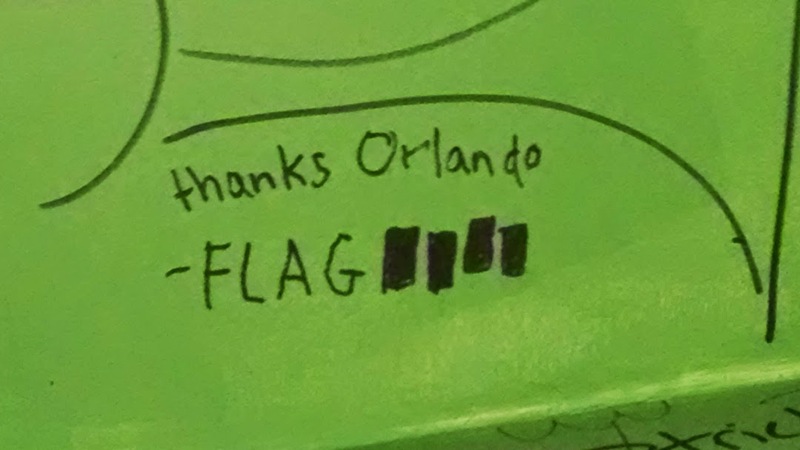 Dom saw this in a "green room" in Orlando while on tour. You Bet We Have Something Personal Against You! Photos courtesy of photographer Ron Lutz II. 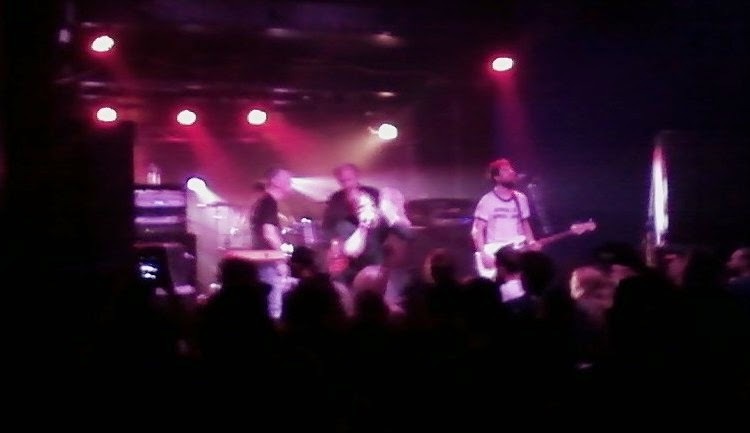 Greg Ginn is at the left on guitar. 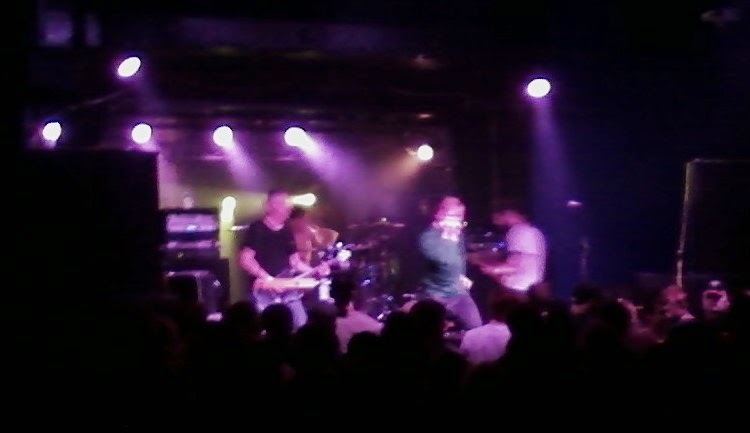 The rest of the band is Mike Valelly (vocals), Tyler Smith (bass), & Brandon Pertzborn (drums). Unfortunately Dom had to use an old flip-phone camera for these. Here they're joined on stage by Joe Grushecky, center, in what had to have been the surprise guest appearance of the 21st century. "I put the 'punk' in punctual."